How to submit a Indigenous Health #jobalert ? 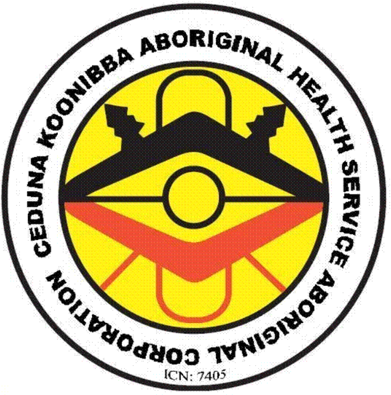 As a Community Controlled Aboriginal Health Service, Ceduna Koonibba Aboriginal Health Service Aboriginal Corporation (CKAHSAC) provides a range of culturally safe and high quality services specifically designed to improve the wellness and health of Aboriginal and Torres Strait Islander people. These position will be based with Ceduna Koonibba Aboriginal Health Service Aboriginal Corporation. The successful applicant will be required to undertake duties specified in the Job and Person Specification. Applications in writing should address the selection criteria contained in the Job Description and include a cover letter outlining your suitability to the position. Applications should be addressed to: Lee-Ann Miller, Human Resources Coordinator, CKAHSAC, PO Box 314, CEDUNA SA 5690. Please note: Late applications will not be considered. Full Time 1.0 FTEThe position of Aboriginal and/or Torres Strait Islander Health Practitioner/Worker is to provide flexible, holistic and culturally sensitive health services to clients and community, and to improve health outcomes and better access to health services. The position of Aboriginal and/or Torres Strait Islander Health Practitioner – Sexual Health is to provide flexible, holistic and culturally sensitive health services to clients and community, and to improve health outcomes and better access to health services. The position of Aboriginal and/or Torres Strait Islander Health Practitioner/Worker – Outreach – Female and Clinic – Male is to provide flexible, holistic and culturally sensitive health services to clients and community, and to improve health outcomes and better access to health services. The position of Registered Nurse – Mother’s and Babies Coordinator is to provide flexible, holistic and culturally sensitive health services to clients and community, and to improve health outcomes and better access to maternal women & child health services. We’re passionate about nurturing careers. We support new innovation and thinking, and openly collaborate and share new ideas. We’re healthy and active in our lives and wellbeing is encouraged at every level. Our people play an important role in the future of health and healthcare and we believe that working together, we’re stronger. Medibank is a leading private health insurer with 40 years of experience delivering better health to Australians. We look after the health cover needs of millions of customers and deliver a wide range of programs to support health and wellbeing in the community. Medibank is delivering the best possible smoking cessation outcomes for Aboriginal clients in NSW and ACT on behalf of Quitline, the Cancer Institute of NSW and Healthdirect Australia. The Aboriginal Quitline Program provides both inbound and outbound calls to Aboriginal clients who are considering smoking cessation. We have a dedicated team of counsellors who provide specific interventions such as delivering one off counselling, focusing on quit planning, supporting with quitting (including managing withdrawal symptoms), providing strategies for relapse prevention and providing outbound milestone checks. Support the development and delivery of cultural education and training across the business and contribute to the Aboriginal Employment Strategy. This position will only be open to Aboriginal and/or Torres Strait Islander applicants – Medibank considers this to be a genuine occupational requirement under the relevant anti-discrimination legislation. In return for your hard work we offer a range of great benefits. Furthermore, we take the health and wellbeing of our employees seriously, offering flexible working conditions and encouraging well-being at all levels of life. Medibank is an equal opportunity employer committed to providing a working environment that embraces and values diversity and inclusion. If you have any support or access requirements, we encourage you to advise us at the time of application to assist you through the recruitment process. 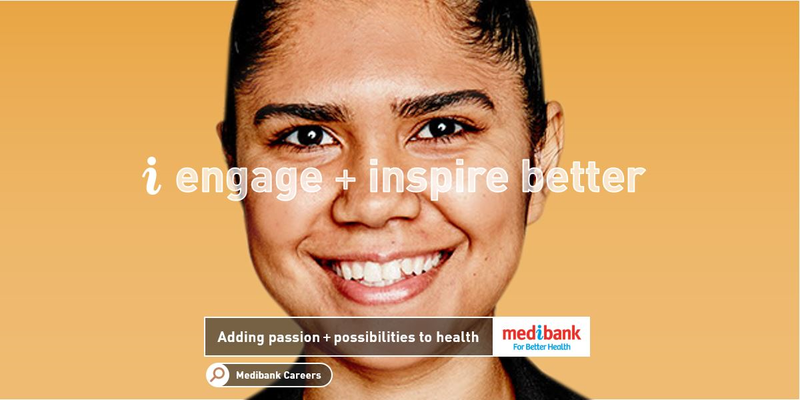 A Career at Medibank adds up to more. More achievement. More progress. More passion and more innovation for health. For a career option that will suit you better, click to apply. Opportunity to Improve Child and Maternal Health Outcomes. 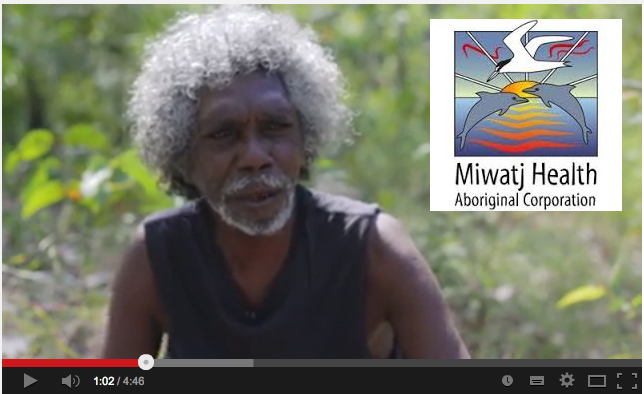 · Join a well-respected Aboriginal Community Controlled Health Organisation in South Australia! · A Full-time and A part-time position available! · $59,045 – $66,566 (pro-rata for part time) depending on qualifications and experience PLUS super, salary sacrifice options and more! 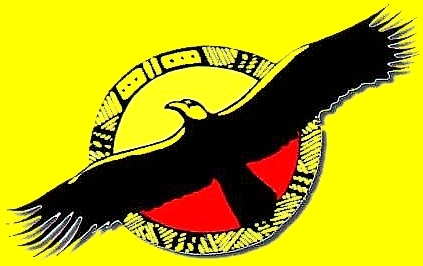 Nunkuwarrin Yunti is the foremost Aboriginal Community Controlled Health Organisation in Adelaide, South Australia, providing a range of health care and community support services to Aboriginal and Torres Strait Islander people. Nunkuwarrin Yunti aims to promote and deliver improvement in the health and well-being of all Aboriginal and Torres Strait Islander people in the greater metropolitan area of Adelaide and advance their social, cultural and economic status. The organisation places a strong focus on a client centred approach to the delivery of services and a collaborative working culture to achieve the best possible outcome for clients. The Women, Children and Family Health Service aims to support safe nurturing environments for pregnant women, infants and children, increase uptake and utilisation of services with an emphasis for clients to encourage continued engagement with services. Nunkuwarrin Yunti now has two opportunities for Aboriginal Health Workers /Practitioners (Maternal and Child Health) to join their multidisciplinary team based in Adelaide, on a full-time and part-time (0.5FTE) basis. Reporting to the Maternal Child Health Coordinator, you’ll be responsible for communicating information about maternal, infant and child health messages, facilitating internal and external referral and ongoing engagement with a range of social and specialist services and supporting the engagement of individuals and families in opportunities to access information and resources. · Developing and maintaining effective internal and external networks in a professional manner. To be successful in this role, you will hold a Certificate IV in Aboriginal Primary Health Care (Practice), have previous demonstrated vocation experience in maternal, infant and/or child health and an understanding of best practice approaches to comprehensive primary health care. You will also need to have a sound knowledge of the issues effective Aboriginal and Torres Strait Islander families and an ability to participate in the development and coordination of care plans. Candidates will need to have experience in the use of computer software, especially Patient Information Recall Systems and other databases. 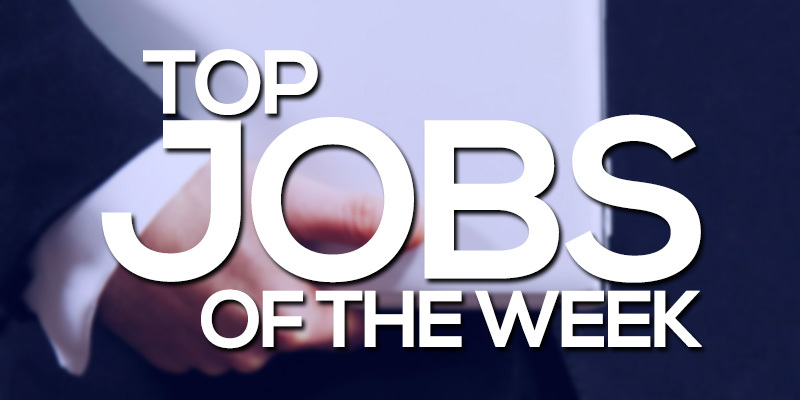 A current Medicare Provider Number, or eligibility to obtain one are essential to this role. While not essential, candidates with professional registration with AHPRA, a Certificate IV in Aboriginal Primary Health Care (Aboriginal Maternal and Infant Care) and qualifications and/or training with immunisation will be highly regarded. To download the full-time position description, please click here. To download the part-time position description, please click here. Two New Vacancies are available within the Link Up Program. Both positions are 12 month Contract position that may be extended subject to funding. Nunkuwarrin Yunti’s Link-Up SA Program is funded by the Department of Prime Minister and Cabinet (Federal), and also receives reunion funding from the Department of Premier & Cabinet, Aboriginal Affairs & Reconciliation (State). Link Up provides family tracing, reunion and counselling services to Aboriginal and Torres Strait Islander people and their families who have been separated under the past policies and practices of the Australian Government. Assistance is also provided to people over the age of 18 years who have been adopted, fostered or raised in institutions. Please feel free to communicate this opportunity through your networks. 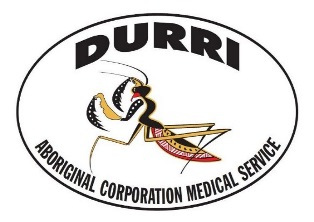 For over 30 years, Durri Aboriginal Corporation Medical Service has provided essential and culturally appropriate medical, preventive, allied and oral health services to Aboriginal communities. Located in the Macleay and Nambucca valleys on the Mid North Coast of NSW. Durri is committed to making health care and education accessible to improve the health status and wellbeing of our community. An exciting opportunity has arisen for a Aboriginal Health Worker with an interest in the area of Drug & Alcohol to join the passionate team at our Nambucca Heads clinic site. This challenging role would suit an experienced and motivated Aboriginal Health Worker with a desire to achieve positive outcomes in indigenous health. You will work with a dedicated team of healthcare professionals. The successful candidate will enjoy beautiful beaches, World Heritage Rainforest, and relaxed lifestyle of the mid north coast whilst making a real difference in the community. Benefits include 9.5% super, attractive salary sacrifice, training and access to an employee assistance program. Applicants must have a current Police and Working with Children Check Clearance and Confirmation of Aboriginality. Pursuant to Section 14 of the Anti-Discrimination Act 1977 (NSW) Australian Aboriginality is a genuine occupational qualification for this position. Applications that do not attach a completed selection criteria submission will not be considered. The successful applicant will be part of a service aimed at providing intensive case work and direct support to Aboriginal people. You will facilitate clinical assessments, work in partnership with the clinical practice, and provide cultural expertise to ensure the provision of holistic and culturally appropriate health care. You will also assist Aboriginal people to access appropriate primary care services, and liaise with internal and external practitioners to assist in the delivery of culturally appropriate services. You will work in North Geelong and also in Colac. 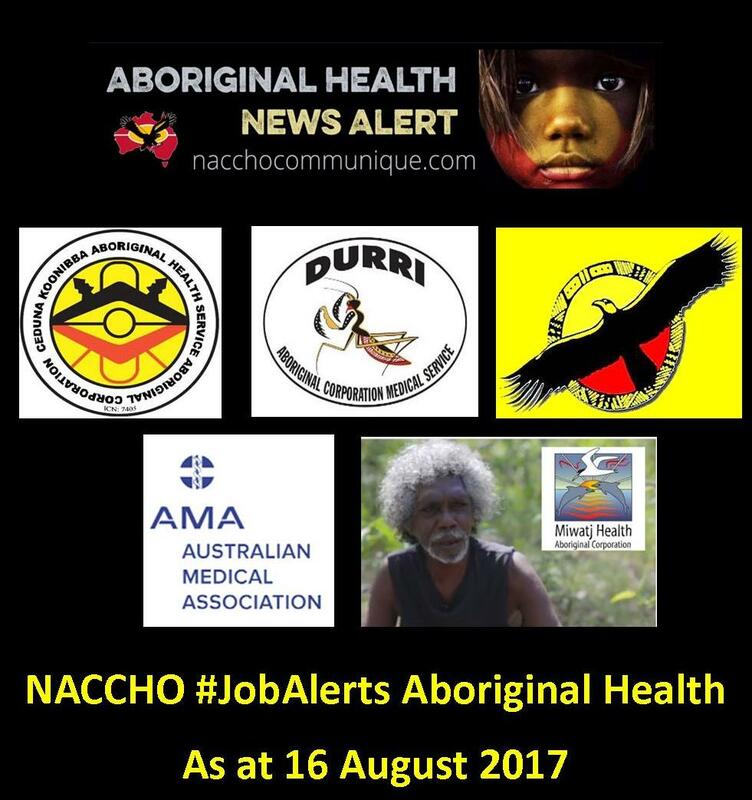 Qualifications as an Aboriginal Health Worker are desirable or a willingness to undertake study to achieve the qualification. This is an identified position, open to Aboriginal and Torres Strait Islander applicants only. If you have extensive experience in related areas of work and a solid understanding of the issues confronting Aboriginal communities then we want to hear from you. A police check, Working with Children Card and a driving license are required for all positions. Applications to be sent to Human Resources preferably via email jobs@wathaurong.org.au or post to Wathaurong Aboriginal Cooperative, PO Box 402, North Geelong 3215. Applications that fail to answer the key selection criteria will not be considered. Indigenous Eye Health in the Melbourne School of Population and Global Health at the University of Melbourne has developed and is supporting implementation of the Roadmap to Close the Gap for Vision. The work is of national and international significance and is demonstrating effective translational research through the systematic implementation of evidenced-based, sustainable public health reform in Indigenous eye health. You will support the regional implementation of The Roadmap to Close the Gap for Vision from a health system perspective and contribute to and lead improvements in Indigenous eye health across Australia. As part of a small, strategic and responsive team, you will collaborate with stakeholders within regions, jurisdictions and nationally to implement the Roadmap recommendations and provide technical advice and support. You will contribute to Roadmap advocacy and support submission of national and international peer reviewed publications and be actively involved in conference and meeting presentations. -Demonstrated capacity to maintain and contribute to industry partnerships and collaborations with a broad range of stakeholders. This is a re-advertised position. Previous applicants need not re-apply. Aboriginal and Torres Strait Islander people are strongly encouraged to apply for this exciting role. 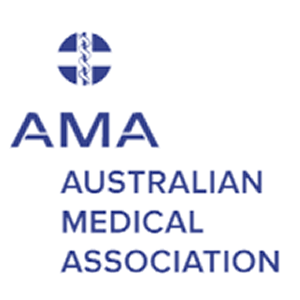 The Australian Medical Association (AMA) is the most influential membership organisation representing registered medical practitioners and medical students of Australia. The AMA exists to promote and protect the professional interests of doctors and the health care needs of patients and communities. The Federal Secretariat of the AMA contributes to the achievement of this Mission through reinforcing the AMA’s peak status in the development and implementation of health policy and identifying and acting upon the main issues affecting members. The Federal Secretariat also delivers relevant member services and works with members directly to grow and value membership of the AMA. The AMA’s Public Health team is responsible for the AMA’s work on population and community health issues, including prevention, substance abuse, child and youth health and Indigenous health. The Secretariat assists in developing the AMA’s policies and political advocacy on Public Health issues of national importance. The Policy Adviser (maternity leave cover, part-time) will provide high level policy and strategic advice to the AMA President on Indigenous health issues. 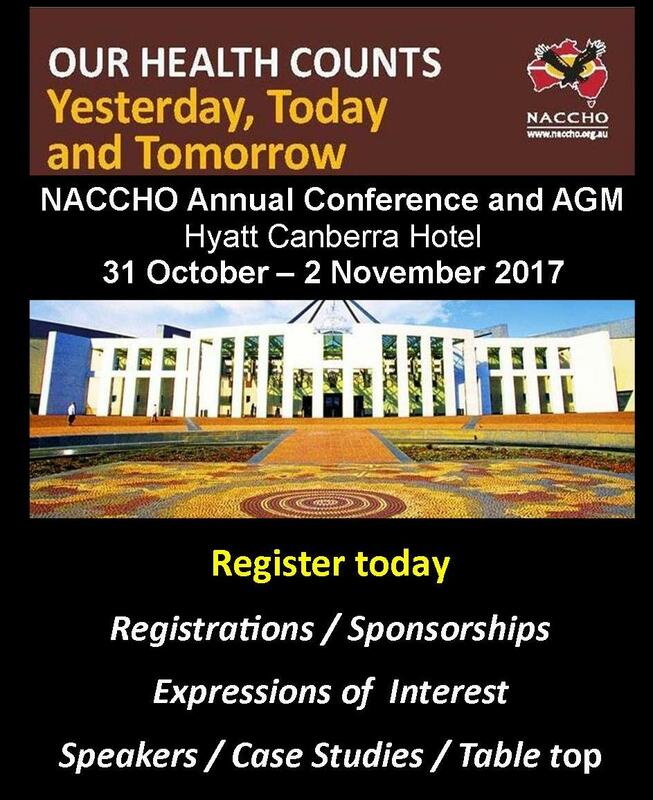 The Policy Adviser will write policy responses and take a lead in the development of AMA policy on all Indigenous health issues. The Policy Adviser will develop policy positions for consideration by the Task Force on Indigenous Health and resolutions informed by research and input from within the AMA and when required from other medical organisations and health stakeholders. The Policy Adviser will take a lead in the development of strategies to advocate AMA policies and prepare written material to support AMA campaigns and advocacy on Indigenous health. The Policy Adviser will provide secretariat support for the AMA Taskforce on Indigenous Health, represent the AMA at meetings and on external committees such as the Close the Gap Campaign Steering Committee. an enthusiastic and flexible approach. To apply for this role please submit a cover letter and an up to date resume via SEEK. For further information or for a confidential discussion in respect of this role please contact Alyce on 02 6270 5482. Remuneration for this role will be determined after assessment of relevant skills, experience and qualifications. Closing Date for Applications – Tuesday 22 August 2017 – Aboriginal and Torres Strait Islander people are strongly encouraged to apply. Carnarvon Medical Services Aboriginal Corporation (CMSAC) is an Aboriginal Community Controlled Health Service established in 1986. CMSAC aims to provide primary, secondary and specialist health care services to Carnarvon and the surrounding region. Exciting opportunities exist for 2 Full-Time, experienced and passionate Aboriginal Health Workers / Practitioners to join the CMSAC team. Reporting directly to the Senior Registered Nurse, the Aboriginal Health Worker will be responsible for providing supportive, effective and efficient Primary Health Care services to clients in the clinic and within the community. The successful applicant will have a demonstrated ability to communicate effectively and sensitively with Aboriginal and Torres Strait Islander peoples. You will have a sound understanding of the unique issues impacting the health of Aboriginal peoples whilst have experience in the provision of health promotion programs. CMSAC is dedicated to recognising and rewarding dedication. As such, you will enjoy an attractive remuneration package including salary sacrificing options! You’ll enjoy a fantastic work/life balance, with Monday – Friday hours, 8:30am – 5.00pm and 5 weeks annual leave! Applications close Monday 21 August at 5pm. Miwatj Health offers a wide range of employment opportunities for health and other professionals, in a unique primary healthcare environment. We offer satisfying career paths for doctors, nurses, Aboriginal Health Practitioners, allied health staff, public/population health practitioners, health informatics specialists, administrative, financial and management personnel. If you are suitably qualified and are looking for a rewarding and challenging experience in one of the most diverse, beautiful and interesting regions of Australia, we invite you to apply for any of the current vacancies listed below. names and contact details of at least two referees, at least one of whom must be a employment referee. We encourage applications from Aboriginal and Torres Strait Islander people, particularly those with links to and knowledge of local communities in the region. Separately from the list of current vacancies, you may also submit a general expression of interest, with a current Resume, and we shall retain it on file for future reference if an appropriate vacancy arises. Miwatj strongly prefers that all applications and expressions of interest submit your application via our recruitment platform by clicking the link below.